“Monsoons bring a sense of drama in my life. As a city, Mumbai is very moody, inspiring, groovy, and cosy for a musician like me. I get inspired by the rains. 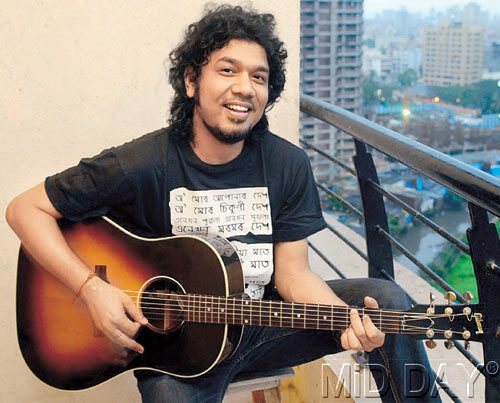 In fact, most of my songs have the sound of a raindrop in the beginning,” says the Assamese singer- composer. Excerpts of an interview with the musician. I love melodious songs and the sad ones. Invariably, I end up singing those kind of numbers more often. I have also composed and sung several folk songs. Till date, my best singing experience has been in Tamil. I want to sing in every Indian language possible. It is a good exercise for a singer to experiment with different languages. Recently, I recorded two Punjabi songs and enjoyed it a lot. The scale of music shows in the Northeast is huge. We perform in all the local festivals and do about 30 shows in 40 days before 20,000 – 30,000 people. Music is in their DNA, and they just can’t live without music. In fact, I can’t walk freely in my hometown, I get mobbed wherever I go. The kind of love people have for music and musicians is heart-warming. It’s better singing at a music festival than at a random show because the audience there enjoys music, digs into it and takes home the best experience. In general, they are more educated about music. I love global music fests because of the opportunity they present to connect with like-minded audience. Reality shows give you a good platform to represent yourself. We are seeing some exciting talent coming out of such shows. Even if you don’t win, people see you and experience your voice, which helps in opening channels for you. I believe that everything has a shelf life, so if you start very early, then it tends to end too soon. That is the flip side of reality shows. As far as money is concerned, I don’t think that singers should bother much about money in the initial stage. They should focus on getting a good song. Once your songs are a hit you can make money by singing them in various shows across India and abroad. I’m glad to be one of the visitors on this fantastic internet site (:, appreciate it for posting . Found this on MSN and I’m happy I did. Effectively written post. Dreamin. I really like blogging. You all express your feelings the proper way, because they are your feeling, focus on your weblog it truly is fantastic.